By Melissa Lennig on June 20, 2014 19 Comments. This content contains affiliate links. As an Amazon Associate I earn from qualifying purchases. By the end of summer, my children usually aquire a substantial nature collection. We often use bits and pieces of their collection in nature inspired arts and crafts activities. 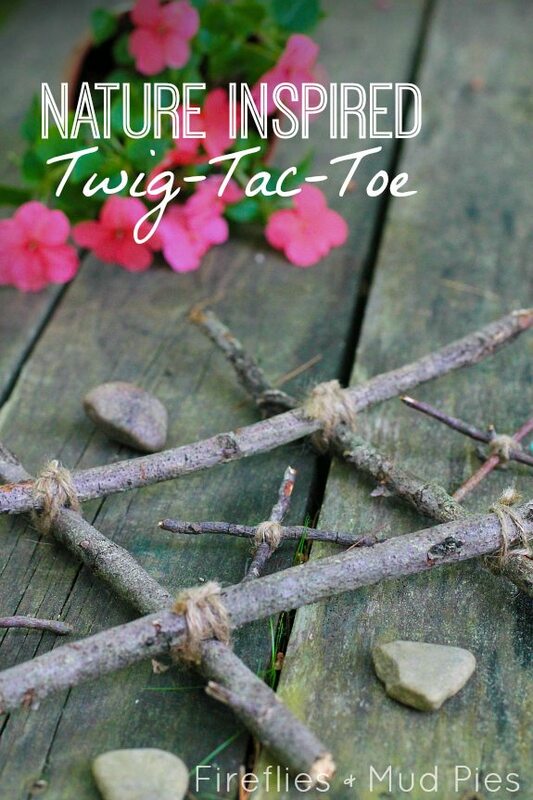 Shared below is a tutorial for our newest nature inspired game, Twig-Tac-Toe! Are you following our Kids in Nature board on Pinterest? Children are attracted to the simplicity of Twig-Tac-Toe. 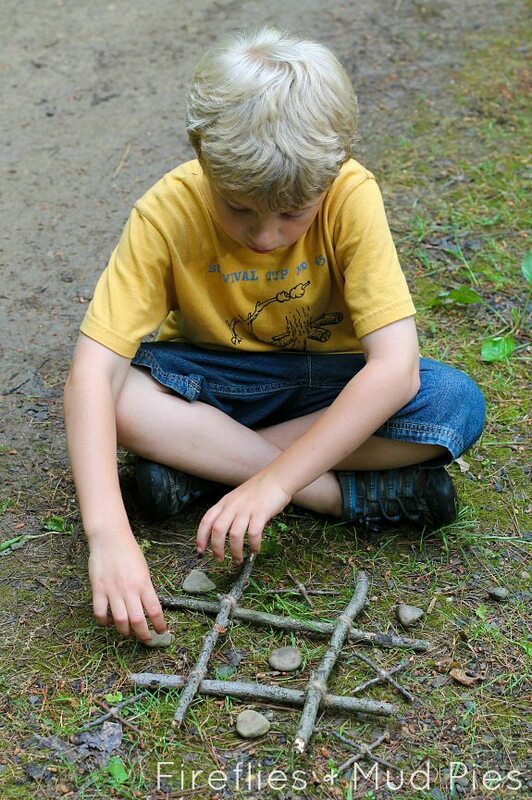 The game is easy for kids to create around the yard, park, or campfire and does not require a trip to the craft store – use whatever string, twine, or yarn you have on hand! 1. Use the twine to tie the 4 sticks together into a tic-tac-toe board. 2. Next, use the twine to tie 2 twigs together into the shape of a letter X. Repeat 3 more times. 3. Find a partner to play, relax, and enjoy the game with! Three in a row wins! Listed below are 15 nature inspired crafts that use simple, free materials often collected by children throughout the summer. Children will enjoy learning about the recycling process while creating beautiful, plantable cards for their loved ones! Bucket of shells from the beach? Learn how to create a lovely shell wind chime! Craft with natural materials while learning about how animals use camouflage to protect themselves from predators. Kids will have a blast collecting and creating art with acorn caps. Learn how to create a rustic tree ornament using sticks and scraps of ribbon. This simple tutorial shares how to create colorful wind chimes with sticks. Learn how to create miniature kites with natural materials from the forest floor. In this post, you and your kids will be inspired to create natural, seasonal décor for your home! Learn how to preserve beautiful, seasonal leaves and shape them into seasonal suncatchers. 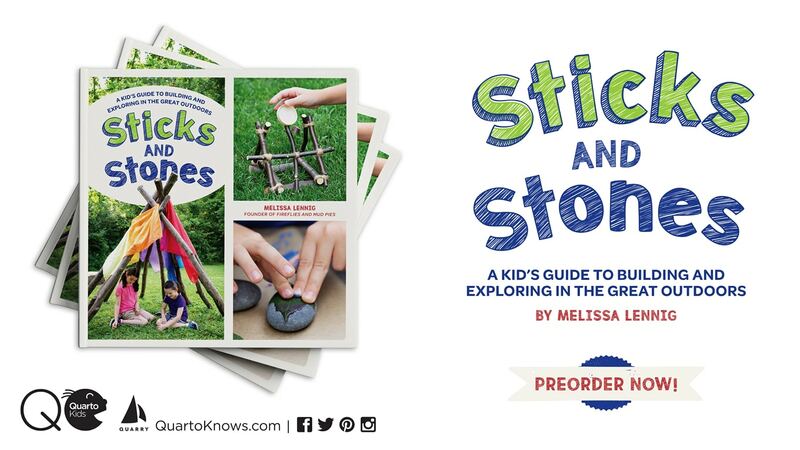 If you have kids who like to collect sticks and make music, this is the post for you! Anything can become a tool for art. This post shows you how! Think beyond paper! Learn how to choose seed pods for painting. Inspiration can strike anytime. Rocks are always there for you! Whether for imaginative play, crafts, or just for fun, in this post you will learn how to weave flower chain crowns. Put that nature collection to good use, and create a beautiful mobile for your home or porch!